A vacation to Bend, Oregon can only be described one way: as a vacation to paradise! These are the places you see scrolling across your monitor screen every day from the free desktop application that came with your computer. Tranquil rivers cutting between forests of trees, sunlight spiking down between the branches and reflecting off the waters, the sun setting in a blaze of color behind majestic mountain tops whose peaks are topped in white snow, and pictures of forests that spread out for miles before you. Those aren’t just photoshopped fantasies you admire each day; these places really exist! When you visit and take the time to explore the Deschutes National Forest in Bend Oregon, you can add more pictures to the display—only this time, they will be ones you took yourself! You have many choices of adventures when you begin to explore our favorite forest: SUP paddling or canoeing along the waters that cut through the trees, hiking the various trails (a map of our handicap accessible trails can be found at https://www.fs.usda.gov/detail/deschutes/specialplaces/?cid=stelprd3806913), or you can even visit the Newberry National Volcanic Monument and learn about the sometimes destructive forces of nature. Located in an area also known as the Lava Lands of Central Oregon inside Deschutes National Forest, this caldera is still an active volcano! For those times you don’t feel like hiking, the Cascade Lakes Scenic Byway is a drive that allows you to experience the wonder of the Cascade Lakes and mountains without leaving your car; you may want to pack a picnic lunch and enjoy a meal on a blanket in the midst of all this glory, though. Sit back, take a deep breath, and feel this awesome expanse of nature soothe your soul. Camping is another adventure to experience while visiting the Deschutes National Forest in Bend Oregon, so why not take a mini-vacation in the midst of your maxi-vacation? Spend a couple of days camping at one of the many campgrounds in the region, then head back to your Bend Vacation Rentals cozy cottage to relax, regroup, and take a nice hot bath in one of our deep soaking tubs! It’s great to get back to nature every so often, but nothing compares to indoor plumbing and beds that are lifted OFF the floor! 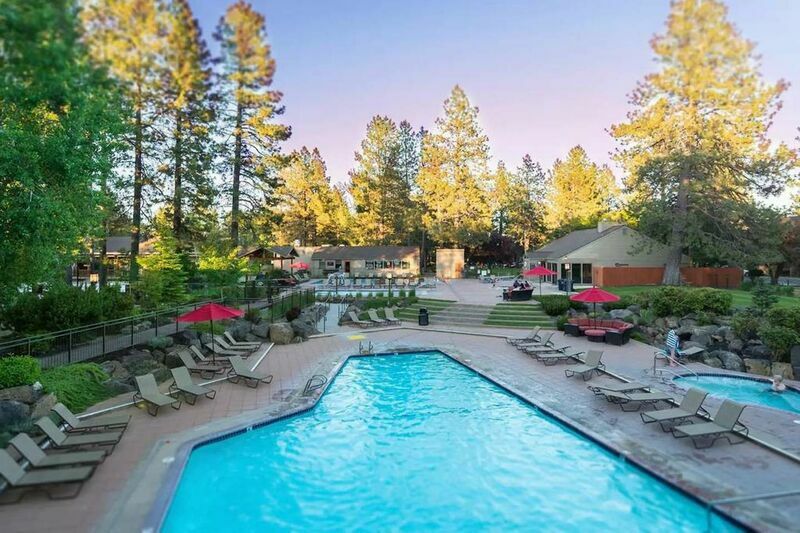 Bend is a wonderful destination whether you’re in town to host your wedding, on a trip with friends or even on your honeymoon. Contact us to learn more about attractions near Bend Oregon and to book your next vacation rental!